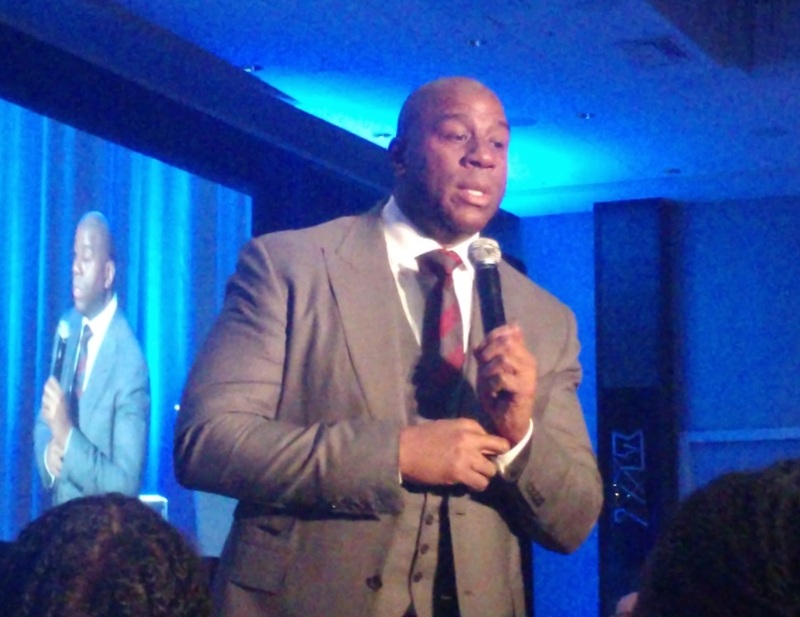 Magic Johnson was in a good mood the morning after the Hawks took down the Los Angeles Lakers at State Farm Arena in Atlanta. He was the featured speaker at the W Hotel in Midtown Atanta for the Oracle Netsuite: Grow Live event, but there was a full morning of programming before Magic held the floor. 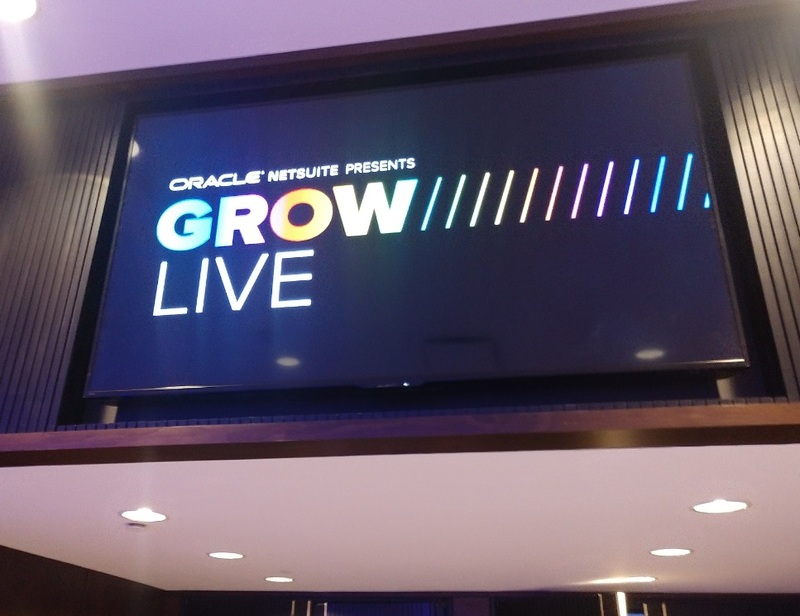 Oracle’s theme for this half-day event is “Grow Beyond” and it is interesting to see what this legacy software company is doing with their 20-year old product, Netsuite. Business leaders and entrepreneurs from metro Atlanta were the attendees on this Wednesday morning. For more than 20 years, Oracle NetSuite has helped organizations grow, scale and adapt to change. NetSuite provides a suite of cloud-based applications, which includes financials, along with Enterprise Resource Planning (ERP), HR, professional services automation and omnichannel commerce. It’s one-stop shopping for businesses all over the world. Netsuite is always being optimized for “what’s coming next.” New themes, new extensions and new ways to track sales and merchandise where introduced recently. Johnson may have retired from the National Basketball Association in 1991, but he says he needed to start his own business but lacked the knowledge. The key, he said, was getting mentors. Atlanta played a key role in Johnson’r business success. He started off by leveraging on the spending power of African Americans who spend a trillion dollars a year. His first venture, after putting up Magic Johnson Enterprises, was investing in movie theaters. But along they way there were pitfalls and red flags and Johnson said he had to listen to his customers, managers and himself, and be flexible to chance. In a bold move, CEO Johnson entered into a 10-year deal to deliver Starbucks stores across the U.S., particularly urban centers where African Americans lived. He learned that his Starbucks didn’t move scones and he had to replace them with sweet potato pie and peach offerings. In fact, Johnson says that he learns from different people, each and every day. He touched on his basketball career, what it takes to build a team and how he loves to hire and work with young people since they have fresh ideas and a glimpse into the future. Other tidbits from Johnson included his philosophy on creating brand ambassadors by overserving and he told a great story about how he landed his first Disney contract. 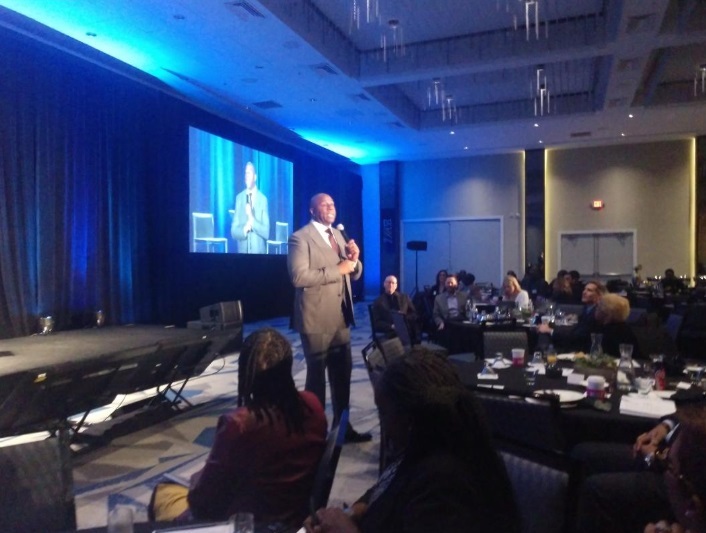 It was a great day of learning and networking with this NBA legend, who has made such a big impact on Atlanta.